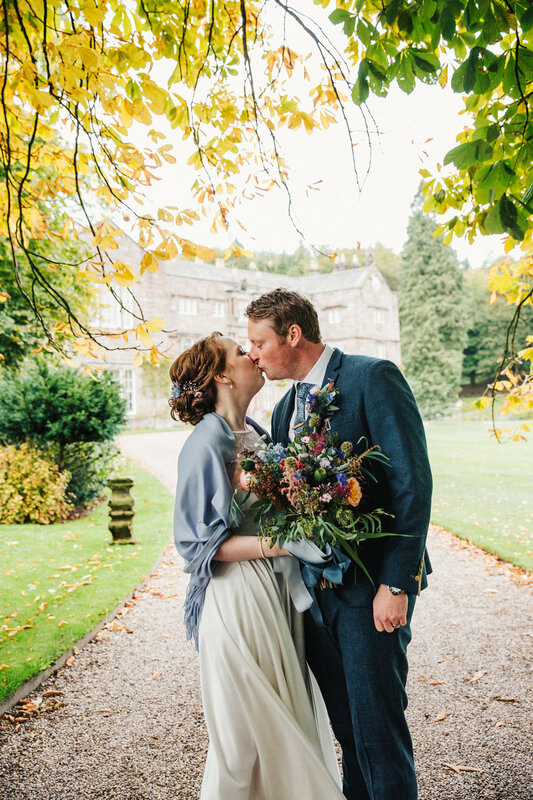 Kathryn chose Clematis for her wedding, and made a few changes to the original design to make it perfect for her. 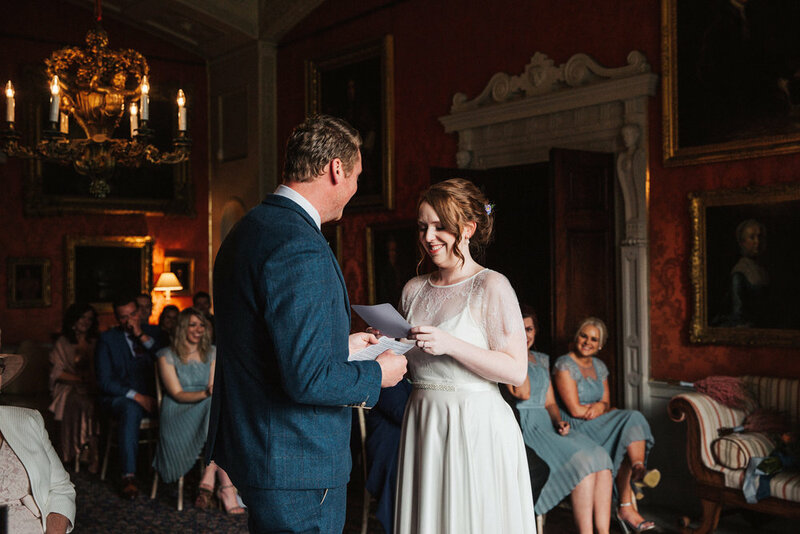 She swapped the silk-satin colour from champagne to ivory. 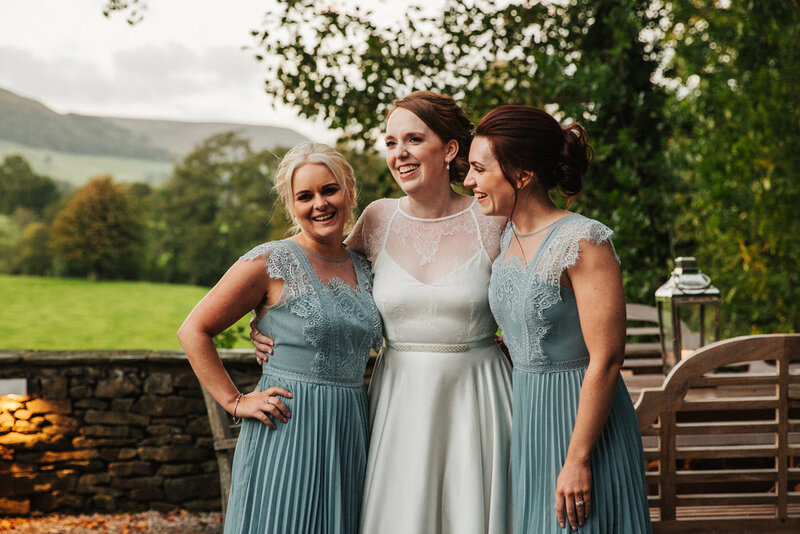 Plus we lengthened the lace raglan sleeves, and re-angled the lower diagonal panels at the back to provide a little more coverage. 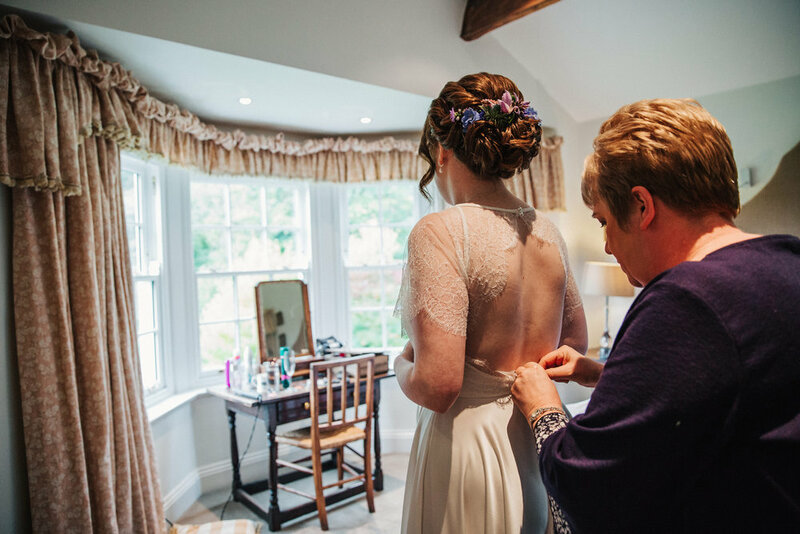 Kathryn also chose to add a pearls belt, which I mounted on a complementary ivory ribbon and sewed onto her dress, securing it along the front waist seam to ensure it didn’t slide out of place. 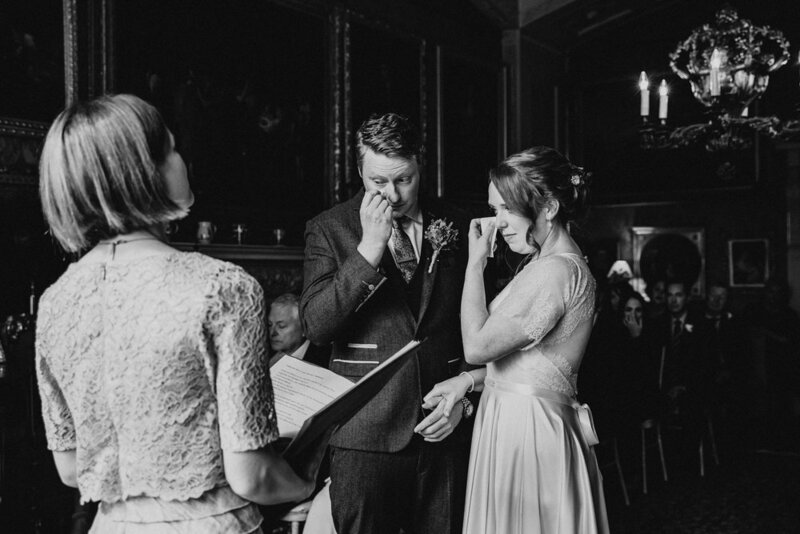 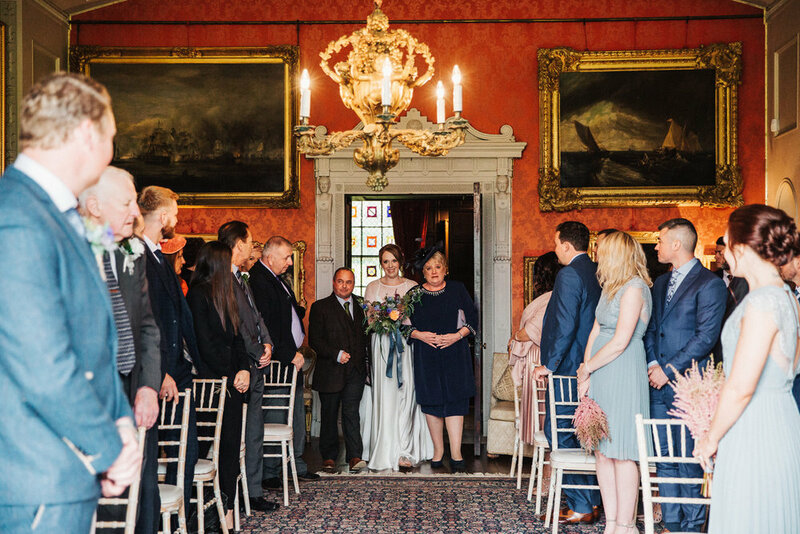 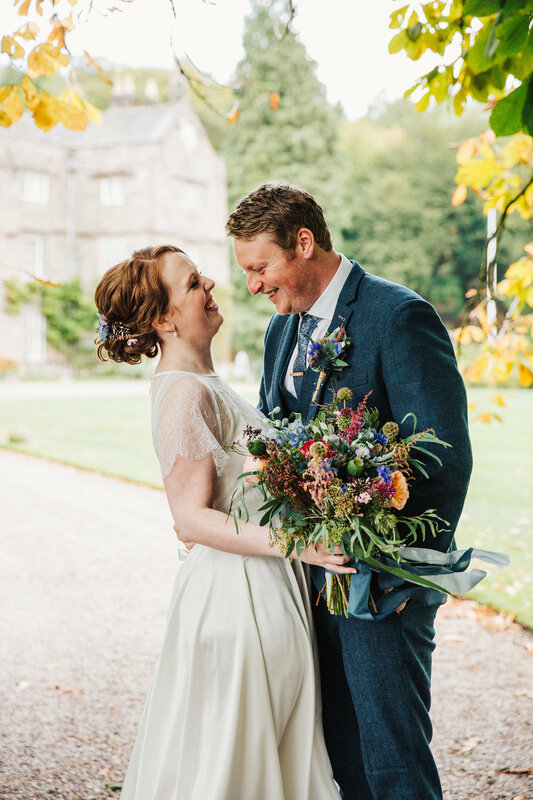 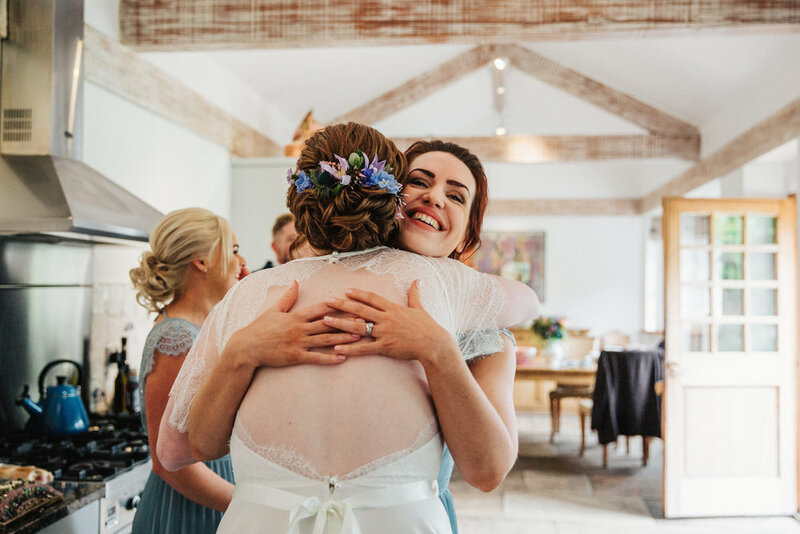 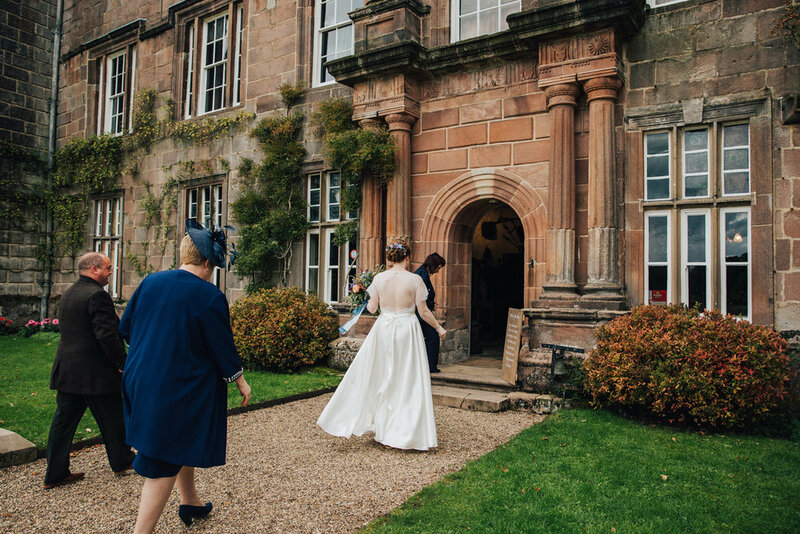 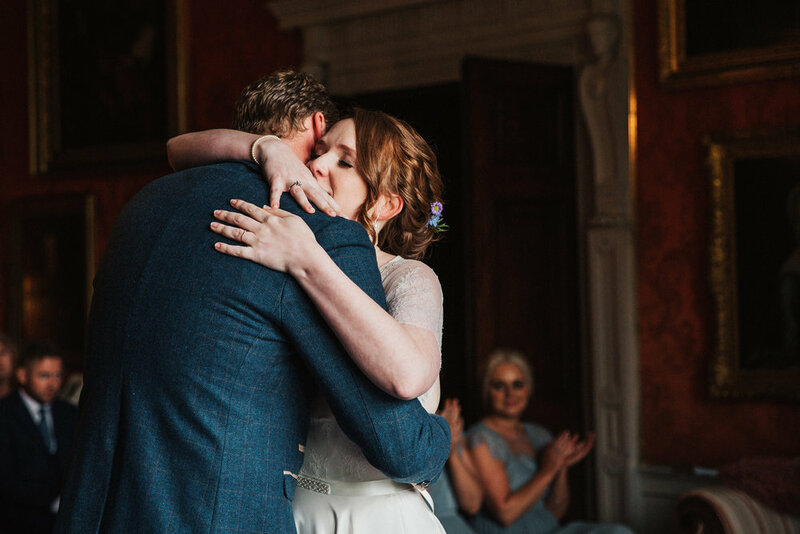 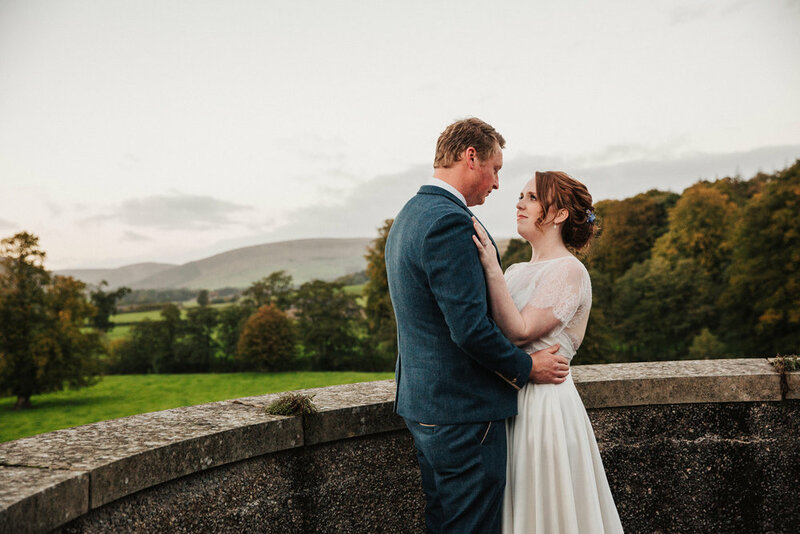 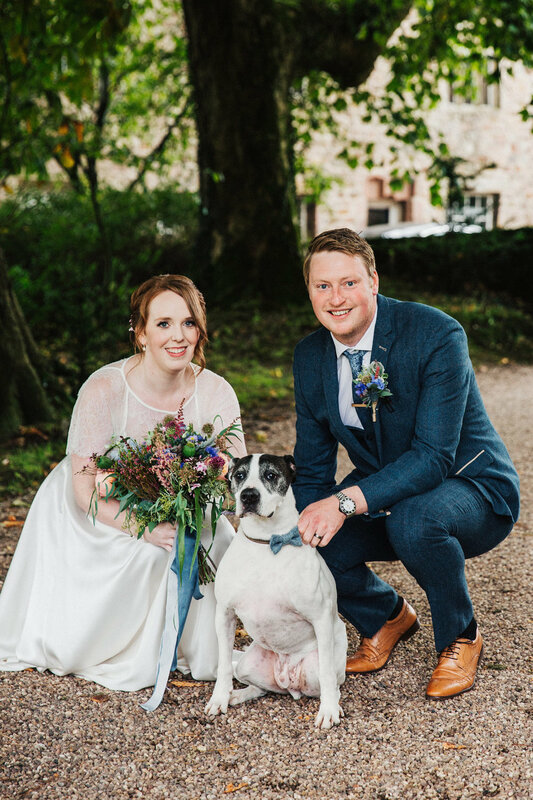 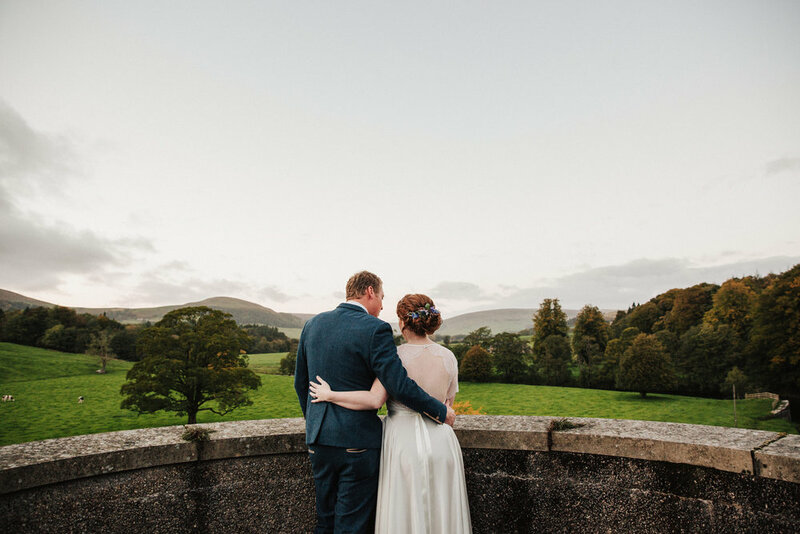 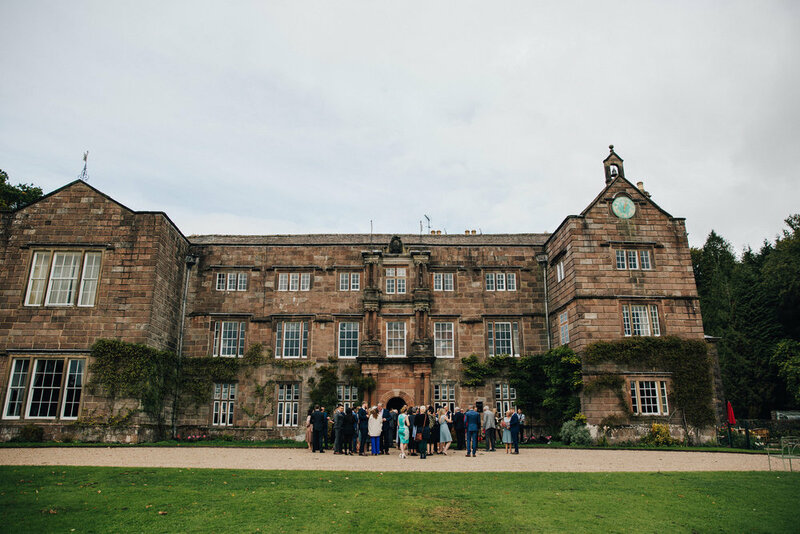 Kathryn and James were married at the stunning Browsholme Hall in Clitheroe, then headed to The Inn at Whitewell where their reception was held in a marquee decorated with gorgeous florals. 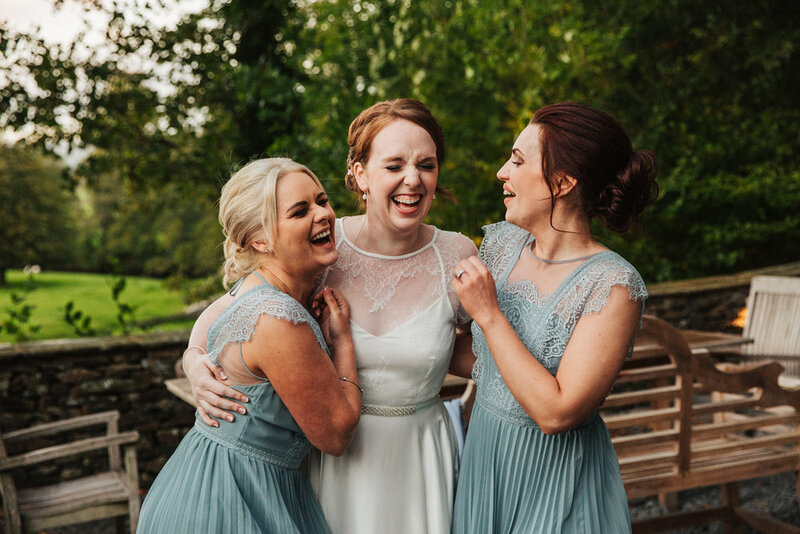 Kathryn’s a wedding photographer and found me after seeing my dresses used at a workshop she was attending. 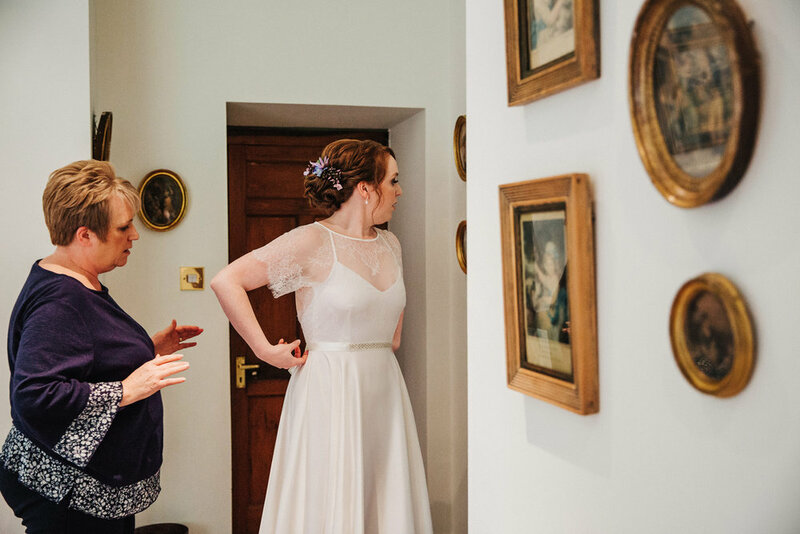 You can see her work at Delicious Photography.